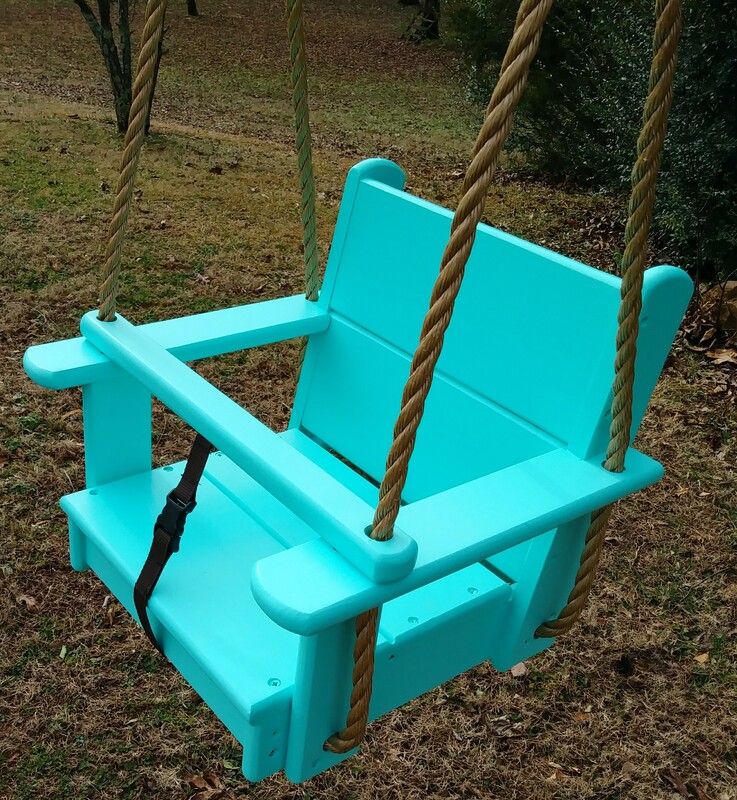 This showcases our newest additions to our lineup of durable and fun wood tree swings. 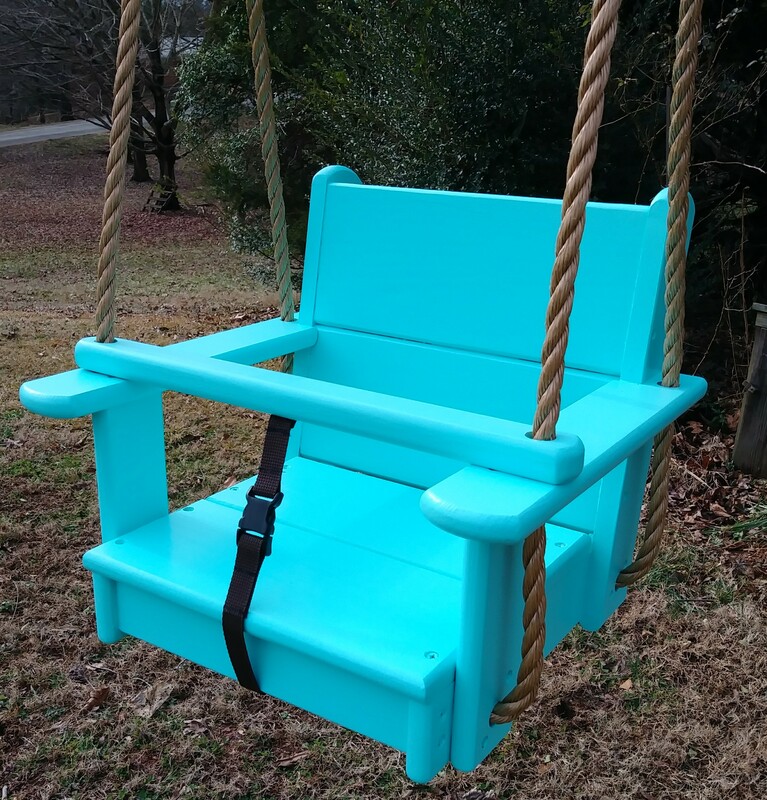 Each of our tree swings are handmade right here in the foothills of North Carolina. 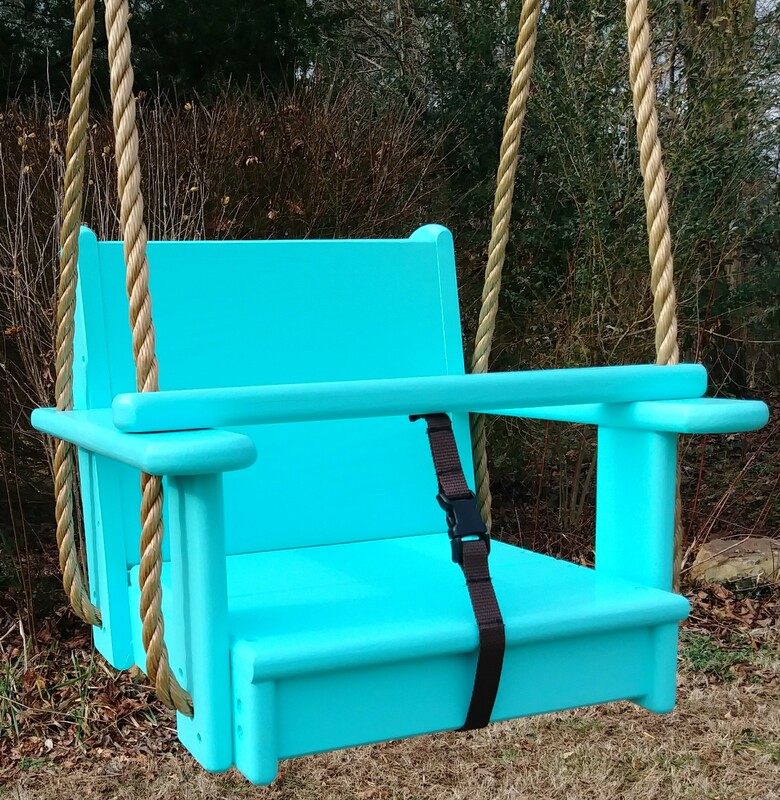 We design our own concepts, and introduce them to the public on this page. 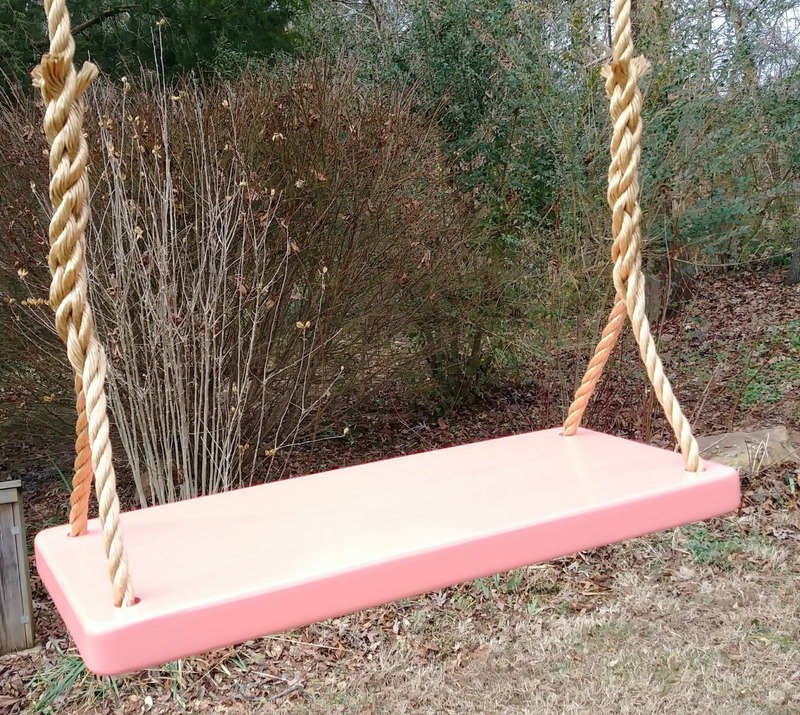 Some of the showcased swings on this page are available in a certain rope length, while others may be available in rope lengths of 11 feet per side to 25 feet per side. 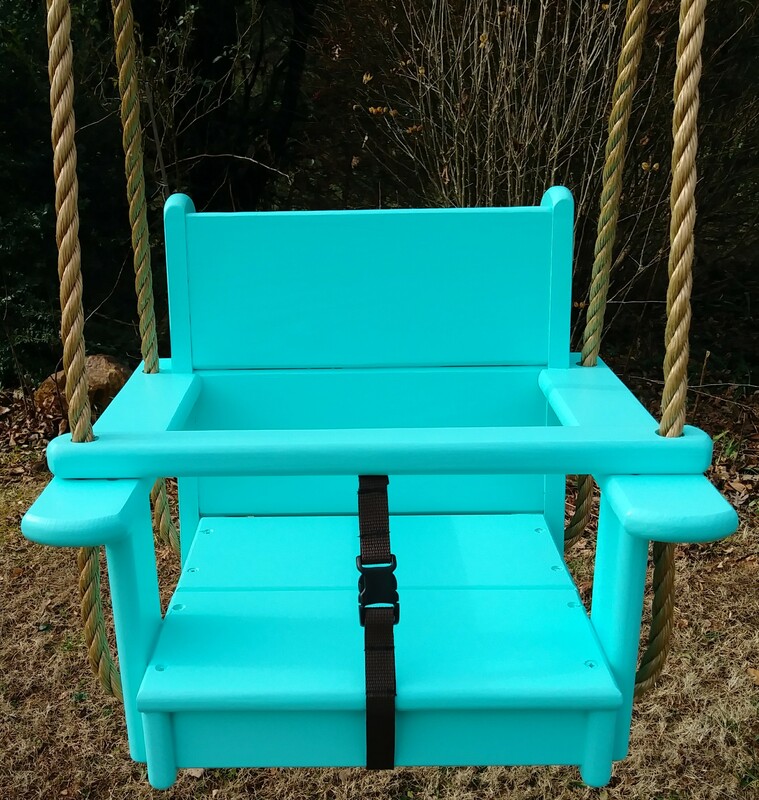 If certain concepts become a must have by the public, then we put the swing into full time production. 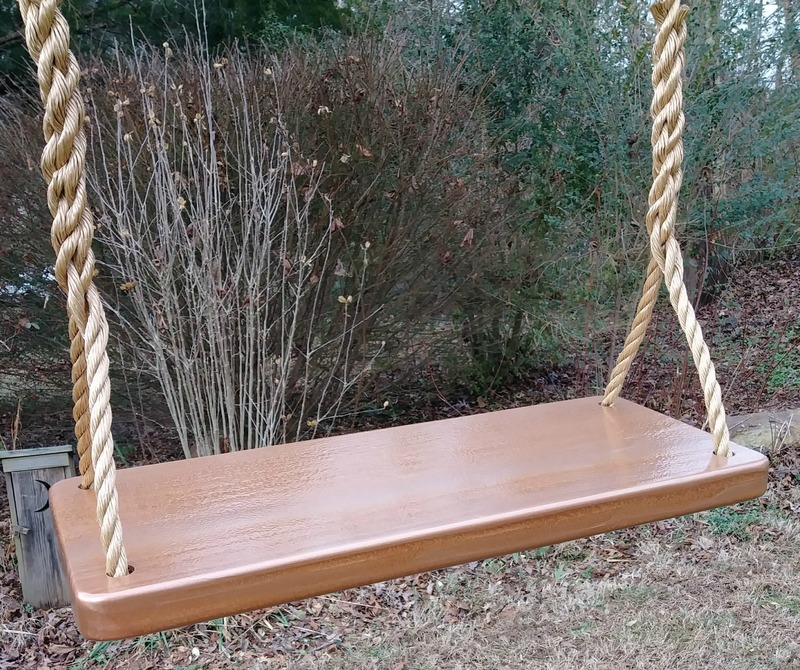 These wood tree swings are often unique and will appeal to many different tastes. 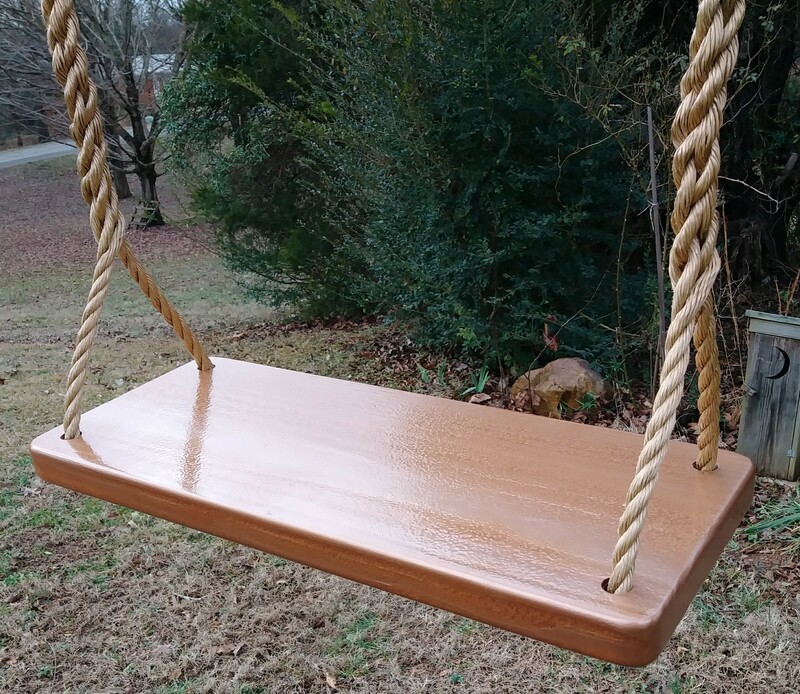 Please scroll down the page to see these beautiful artisan crafted wood tree swings. 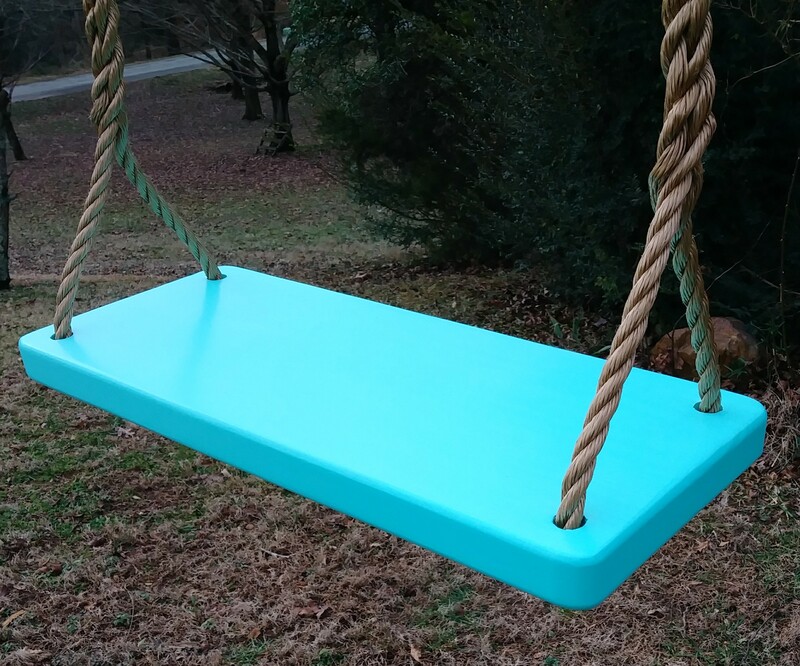 This Kids Seat Swing is hand painted in a beautiful beach themed hue of Sea Foam. 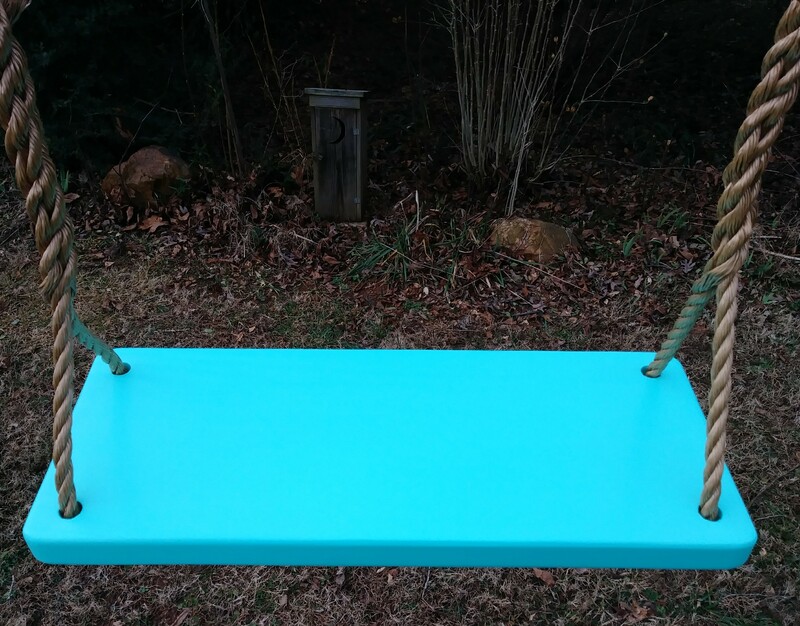 This swing is available with different rope lengths ranging from 11 feet per side to 25 feet per side. 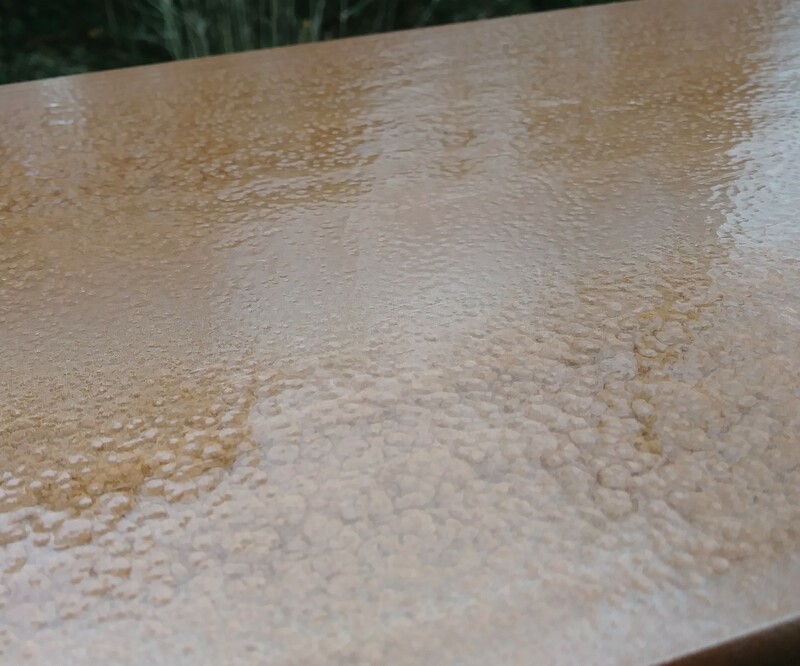 This 4 Hole Appalachian is hand painted in a metallic themed hue of Hammered Copper. 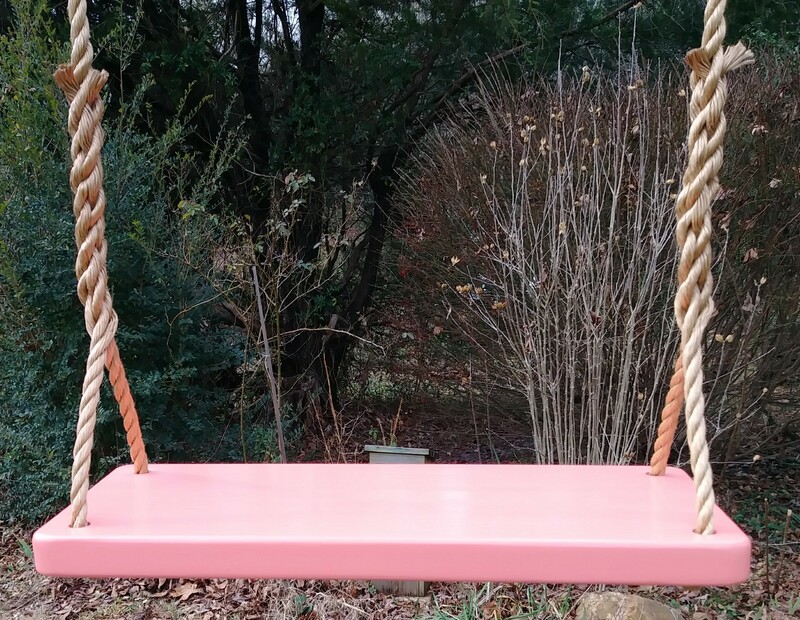 This swing is available with a rope length of 15 feet per side. 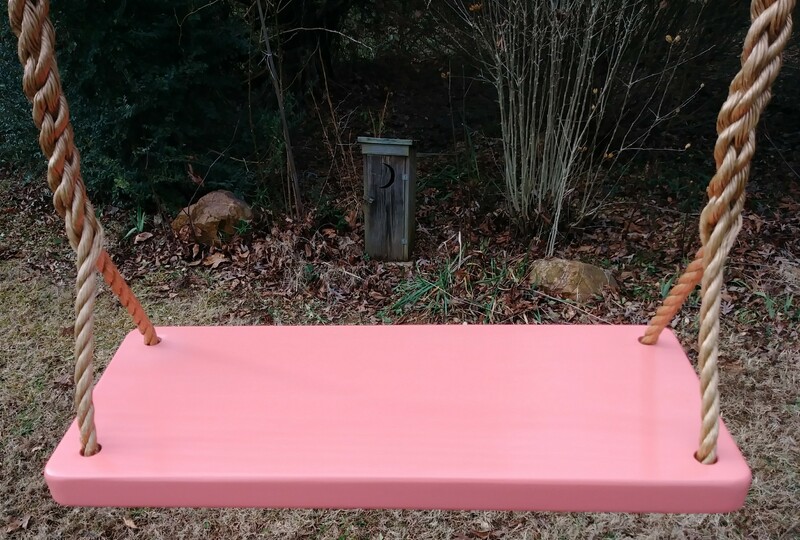 This 4 Hole Appalachian is hand painted in a beach themed hue of Island Coral. 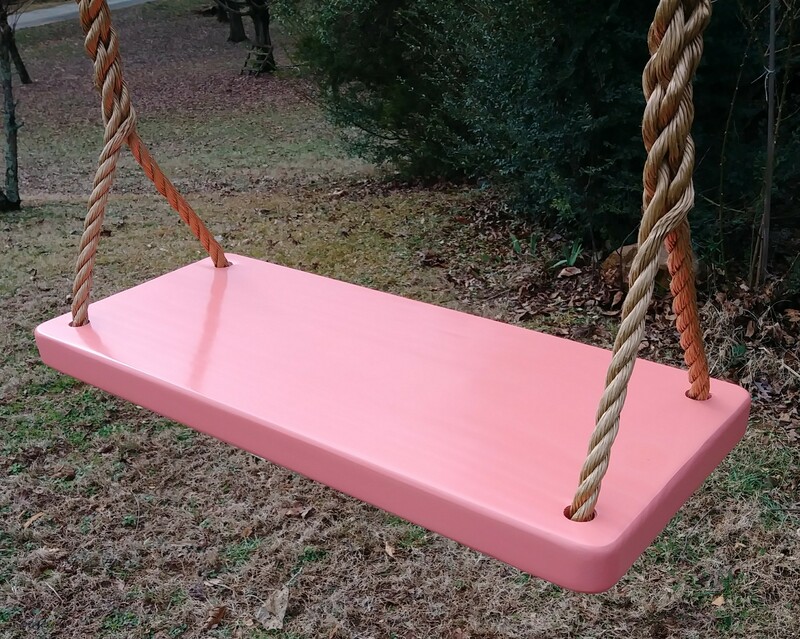 This swing is available with a rope length of 15 feet per side. 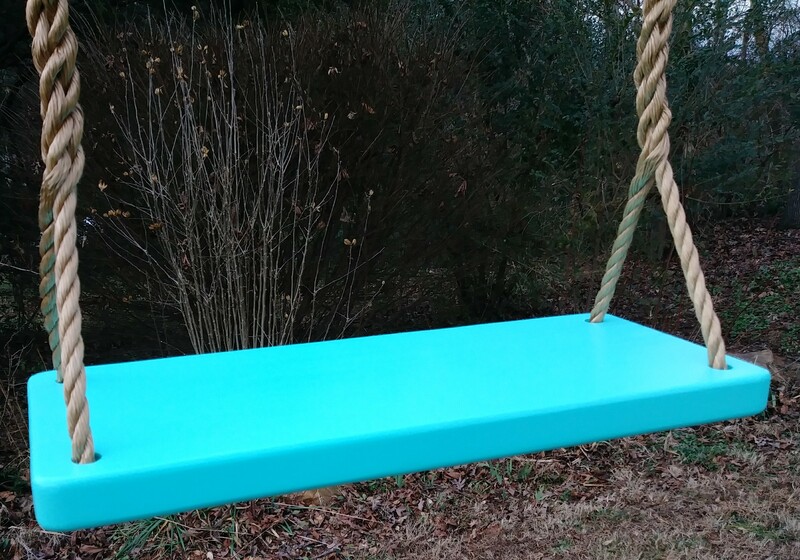 This 4 Hole Appalachian is hand painted in a beach themed hue of Sea Foam. 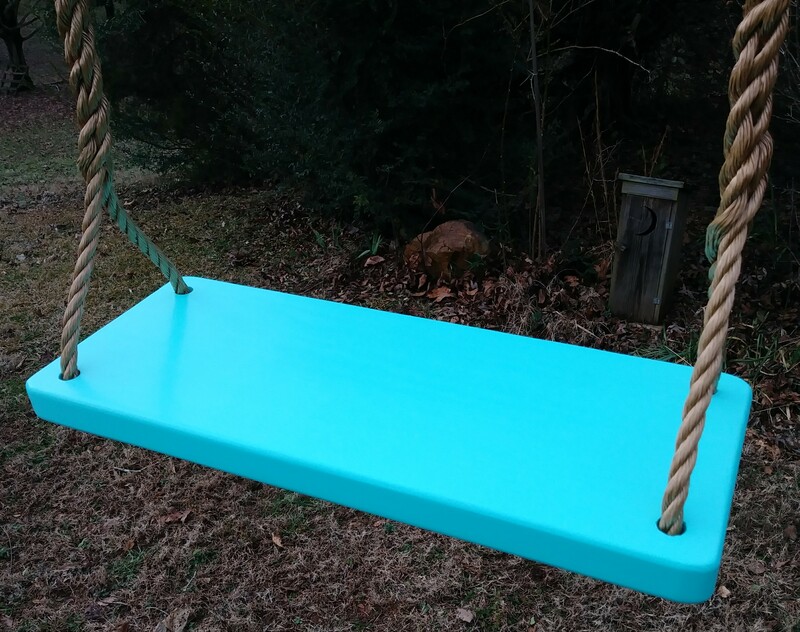 This swing is available with a rope length of 15 feet per side. 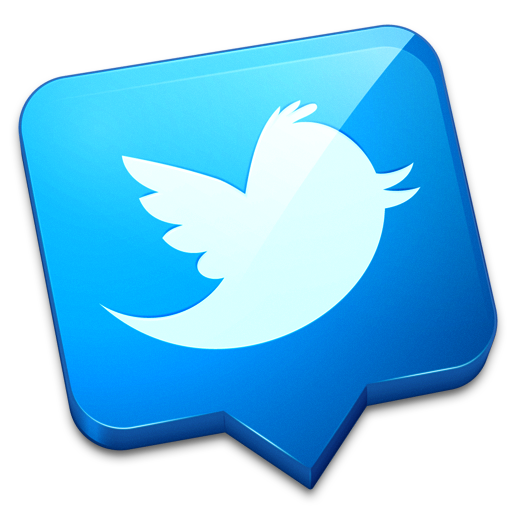 *All images contained within this website are copyrighted material of Robert and Jamie's Favorites LLC. 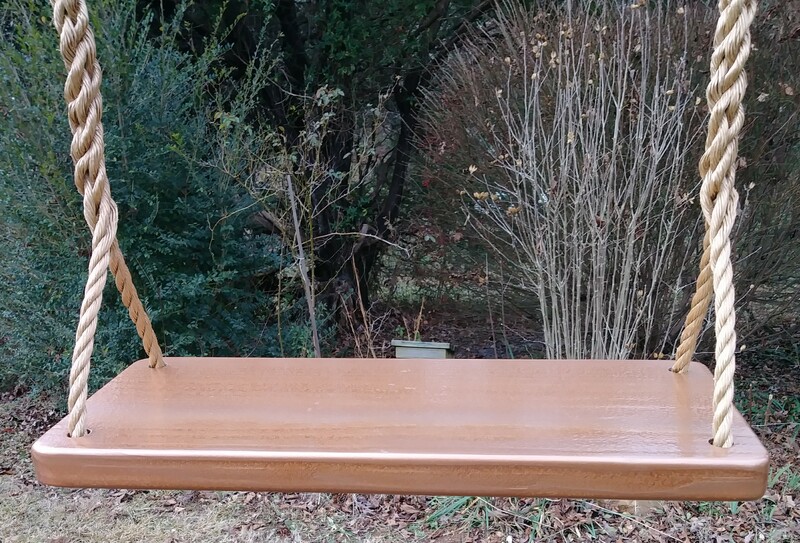 Duplication without permission is strictly PROHIBITED.